“We make a difference in the lives of people through effective project management”. 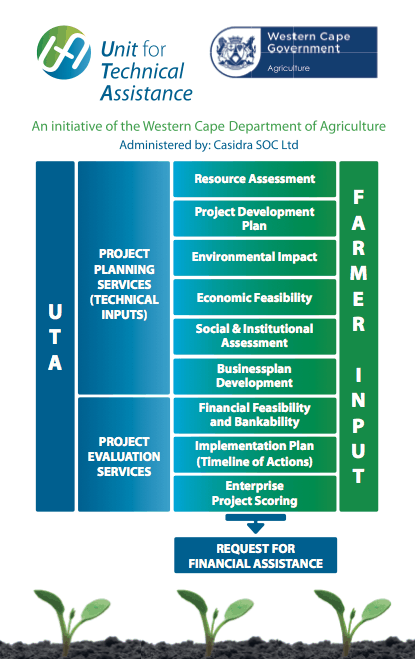 The Unit for Technical Assistance (hereinafter referred to as the Unit) is envisaged as a support facility for the client of the Western Cape Department of Agriculture to co-ordinate internal and external expertise for project appraisal and enterprise planning at various stages of the programme and project management life cycles requiring technical input. The Unit is a formally established structure hosted by Casidra. The Western Cape Department of Agriculture established this unit within its Farmer Support and Development Programme under the auspices of Casidra, as an implementing agent which will be responsible for the co-ordination, management and secretariat functions related to the unit. The unit will strategically consider, consult and make recommendations in terms of the business plans, project implementation plans and allocation of project funds to enable new and existing farming enterprises to achieve sustainability through a network of service providers. Emphasis will be on delivering quality services in line with the Batho Pele principles using Departmental and external expertise from the private sector to deliver an effective service. Collaborative of knowledge in the agricultural sector promoting improved enterprise planning and appraisal towards increased sustainability of government supported farming enterprises. Coordinate internal and external expertise needed for farm enterprise appraisal and planning processes at various stages of programme and project life cycles for effective decision making and service delivery. To leverage and co-ordinate Departmental and external technical expertise to inform project planning and assessment. To develop knowledge to inform Departmental management and client decisions. To ensure timeous delivery of credible farm development plans towards sustainable rural development. To ensure standardised norms for evaluation of projects by the UTA. To enable access to and update to information on an existing agricultural database within the WCDOA and at commodity level. To identify knowledge gaps for referral as research projects. To source technical and legal expertise to assist WCDOA clients in statutory matters. To assist agricultural enterprises with expertise to comply with requirements to access markets. Secretariat functions related to the unit. Through a network of service providers, the unit will strategically consider, consult and make recommendations in terms of business plan development, project implementation plans, business / farm evaluations and to inform allocation of project funds to enable new and existing farming enterprises to achieve sustainability. Emphasis will be on delivering quality services in line with the Batho Pele principles using Departmental and external expertise from the private sector to deliver an effective service. The unit will ensure that the planning of recommended projects comply with the applicable selection criteria and that the allocations are prioritised in terms of the key deliverables of the Department. 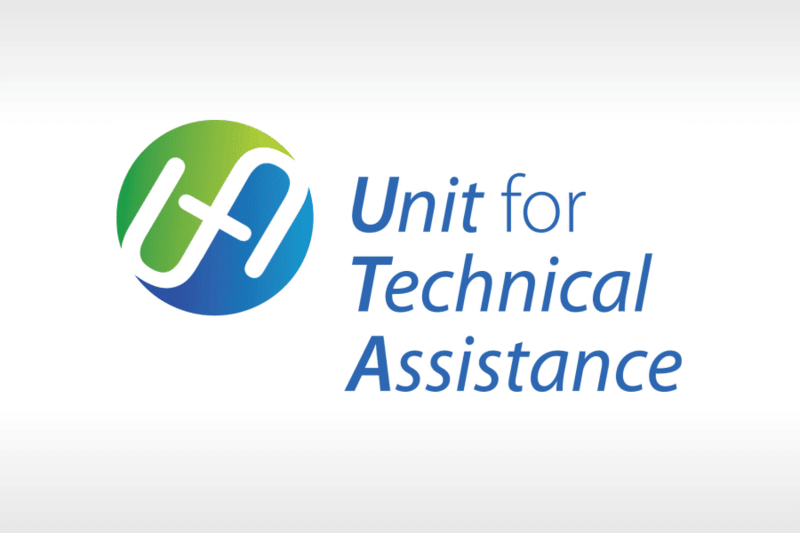 The unit will assess the feasibility of referred applications and associated business plan aspects pertaining to financial viability, sustainability, production, member capacity, training needs, security and social aspects. The unit will support agricultural enterprises with expertise and compliance requirements to access markets. Official letter of request from the Commodity Project Allocation Committee for designated commodities and from the WCDOA district manager for nondesignated commodities. Minutes of the Departmental Project Aallocation Committee requesting assistance for a project planning.